Our community have had some awful experiences of flying to Amritsar with a number of airlines. Amritsar Flights do not seem to care about the service they are offering to the Punjabi community flying to Amritsar. Maybe this is because we do not complain! We would like to address this by inviting you to enter your experiences - good and bad. We know many of these airlines are taking an interest in www.amritsar.com so hopefully they will take note of the comments here and act accordingly. So please - act and do something about your complaint by entering it on this forum. Once we have enough of a list, I will send a copy of all the complaints to the relevant airline and the CAA. I second that. I flew with Uzbekistan Airways recently form New York to Amritsar. I loved not having to undergo the agony of travelling from Delhi to Amritsar, my hometown. Having said that, Uzbekistan Airways' service was awful. The stop over at Tashkent was tooo long and the facilities there (bathrooms, restaurant) was a joke. I really wish more airlines would fly from the NYC/NJ area to Amritsar. 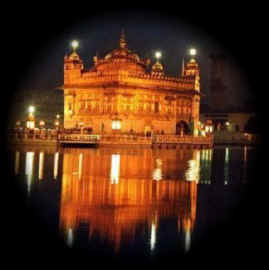 Not having to waste the time and hassles of the Delhi-Amritsar is priceless. The issue with these airlines is that we dont complain and just accept the situation. I have personally spoken to Uzbekistan Airways in Uzbekistan (the London Office has no power or influence) and they really don't think they have a customer satisfaction issue and why? Because no one complains. So the simple answer is that if we want better service, we have to complain because otherwise the airlines don't know they have a problem. I would suggest that we collect all of them together on this forum and then send a copy to the airline and the CAA! Contrary to what majority of other participants have said, Amritsar Airport offers some excellent service. In its current operations of international flights, the airport is still new and under construction. It is improving all the time. I have visited this airport many times since 1996 and have seen improvements every time. I passionately believe that jointly (we the punjabi passengers by using and Airport Authority by working on improving), we will shortly bring Amritsar Airport to leage of good international airports. I heard alot of really disturbing things about the amritsar airport, but the thing is, the delhi airport is similar... they dont respect anyone there either, they have these women in the washrooms that ask for money to use the washroom, i mean wut is that? u cant charge me for using the washroom ...pluz the washrooms are so dirty like they have never been cleaned so i didnt even use them i walked in and walked rite back out, and she still was asking me for money and when i told her i didnt have any she wanted my watch and i was like forget it u have a job, dont beg for money ... ( well thats how it was when i went in 98 ). Most of the men working there in security as well are all perverts. Im coming to india in jan and my masi is telling me not to go to the amritsar airport because they misplaced her bags and took hours to find it. I suggest if u are a women dont ever travel alone, that is why im bring my dad with me, to avoid harrassment. well thas jus my opinion anyways, hope no one got offended... bhul chuk maaf karo ..waheguru ji ka khalsa waheguru ji ki fateh! To respond to the gent Jatinder concerning his positive views on Amritsar airports and airlines and officials. Place where openly, I could bribe myself through their system, jump queues because of my money, have aunties pushed aside and shouted like they were cattle. However, I do understand that the development of projects such as the expansion of the airport are both costly and time consuming. We have to remember small things take time, but I think time is definately of the essence in Amritsar. Our community could afford to build five airports if necessary, just on voluntary donations!! Shame that money is always on the fore front of our cultural expansion. Thought the whole point was to be rich in our hearts and not concentrating on being rich in our pockets?? Now dont get me started on Uzbekistan airline services.. not proficient enough to carry dead cargo, let alone Punjabis. Service is a joke, but we as the consumers are the biggest joke. We get ripped off and we never complain. Congrats Sid at last.. someone whos ready to stand up on behalf of our community, and be heard!! If I had the money, id send everyone via Emirates!! And I would sack all corrupt and bearded perverts at the airport immediately!! No offence intended but..... thats disgusting. Lets live by our gurus teachings, and not profit negatively from our circumstance. Further I find rather offensive to describe people trying to make a living in difficult conditions as bearded etc. In reply to Mani's comments, concerning the travel to and from Amritsar airport. I did cleary state and intend no offence concerning people working at the airport. If you are offended.... I deeply and sincerely apologise. Our people in responsible positions do take their roles seriously, and are a credit to our culture. And some just blatantly abuse their power. Fact is fact, whether or not u like to hear the truth. Well id say thats a fair relfection upon todays society. Corruption is corruption despite what form it appears in. These are not the teachings of our Gurus. I will further visit the BOPIO website to get further detailsand discuss with my peers the information provided. This is a discussion forum, everyone is entitled to their own opinion, hopefully now without any further offence. Check out Tara Airlines for developments on a direct flght from Luton to Amritsar and a copy of the prospecturs. Apart from Uzbekistan Airlines and Turkmenistan Airline, Air Slovakia, Midland Airlines and Flyjet fly to Amritsar from London and Birmingham. When flights are delayed at Amritsar staff there need to update passengers, they just simply sit around being un helpful. Give them some some customer service skills that the call centres have. My sister-in-law went out via Midland Airways to ATQ in mid December 04, due to technical fault they spent a day at BHX (along with 18mth daughter) with no accomadation provided. On her return trip similar delays and also there was no milk aboard for any travelling infants, due to tech. fault, they "hired" a smaller aircraft which in turn had to stop for fuel during a "direct flight" which took nearly 13hrs to finally arrive back at BHX - disgusting. NEW DELHI: In a bid to cater to the ethnic Indian population in the UK and Canada, the Air-India Maharajah is all set to launch new flights to Birmingham and link it onward to Toronto. Birmingham will be the national carrier’s first stop in the UK outside London. The onward link to Toronto is aimed at the growing Indian population in Canada. Since a large chunk of the Indian population in Canada as well as London originates from northern India, the Birmingham-Toronto flight would originate from Amritsar, instead of the usual stops of Delhi or Mumbai. The Amritsar-Birmingham-Toronto flight would be launched from May ’05, said VK Verma, commercial director of Air-India. The new service would be operated with Boeing B777 aircraft three times a week, he added. Air-India is leasing three B777s which were being used by United Airlines. Efforts are on to lease a number of other aircraft, including B747-400s which would be used to expand capacity during ’05. Initially, A-I considered launching flights to Manchester to cater to ethnic Indian population. However, the airline has zeroed in on Birmingham in view of the changes in Indian population profile in the UK. There is a strong demand for Birmingham-Toronto connectivity as a sizeable population of the Indian population living in the UK and Canada have links with each other. Since obtaining slots at London for flights connecting onward to north America is difficult, the Maharajah has moved over to Birmingham. The costs would also be lower at Birmingham as compared to London’s Heathrow airport, it is felt. Air-India is also planning ‘scissors operation’ over Frankfurt to give an edge to its increasing connections to the US. According to current plans, the ‘scissors operation’ would involve convergence of the Delhi-Frankfurt-Los Angeles and Mumbai-Frankfurt-Chicago at the German city. The departure of these flights from Frankfurt would be tuned in such a way that both Delhi and Mumbai would get linked to Los Angeles and Chicago. For example, a passenger travelling on the Delhi flight destined for Los Angeles could switch over to the Chicago flight. Similarly, a passenger on the Los Angeles-Delhi connection could switch over to the Mumbai flight at Frankfurt. The ‘scissors operation’ over Frankfurt would give a lot of synergy to Air-India’s connections to the four cities concerned, Mr Verma said. The airline managed is expecting at least 20% growth in ’05 over and above the 30% achieved during ’04, he added. Passengers loads are good despite strong capacity addition during the current year. The Air-India fleet will have more than 40 aircraft during ’05, Mr Verma said. The airline now operates 36 aircraft out of which 18 are on lease. The company is also planning to acquire 50 wide-bodied aircraft and is finalising purchase of 18 B737-800s for its low-cost subsidiary, Air-India Express. I think it is a good move by AI to start a flight from Birmingham. But i believe that If Punjab govt renvotaes Ludhiana it will defiantelly attract more flights since people from haryana, himachal as well as eastern parts of punjab can use the facility in addition to jammu kashmir and west punjab. I bet it can attract people from Uttaranchal and UP and even delhi too since IGI is loosing its shine. Looking forward for british airways to start a flight to amritsar. Great news lets hope other International airlines will follow too. Well done air India. Direct flight by AI in great but other suggestion for airport in more centralised location is wonderful and practical. Travelling is learning and not complaining. If you are scared of travelling better be at home. So next time u get uncomfortable flight be happy.. atleast u will learn hardship of travelling .. since u have never experianced travelling by road in remote parts of our country. Special appreciation for Amritsar.com for this great effort. I found this site better than loads of other discussion forums like orkut( by google) etc. Keep ur best work in god speed. Dear Veerjee, I am sorry to hear about your experience with Midland Airways. As you may be aware, we have set up Amritsar Travel www.amritsartravel.com as an online, competitive and quality flight booking service. However based on feedback we have received such as yours, we decided not to include Midland Airways in our Travel Portal. We hope you manage to get to your family wedding on time although you are hopefully airborne by now! I flew with singapore air this jan. had no probs going and coming. Except when coming... the people that move the luggage want money from everyone. I didn't even ask them to move my luggage and they asked for tips of nothing less than 200 rup. My wife flew this week and same thing. Someone needs to STOP that. at the airport. I've just checked out Air India's new flights to Canada and Birmingham from Amritsar and they are on a thrice-weekly flight basis on wednesday, friday and sunday. These new flights start on the 15 May 2005. Only check weekly timetable AFTER 15 MAY 2005 only Amritsar Delhi/Delhi Amritsar legs only. A good start for AI, MAS to fly to Amritsar, a better connectivity to the world, keep it up! Yet more flights to Amritsar planned! Britain will try to explore the possibility of bringing Amritsar on the air service of British Airways,” says Mr Surinder Singla, Finance and Planning Minister of Punjab after his 45-minute meeting with the Foreign Secretary of Britain, Mr Jack Straw, here this morning. “We discussed various things, including possibility of British investment in Punjab. Mr Straw promised to send a food processing company team to Punjab. He also agreed to consider sympathetically starting of a few more visa application collection centres in Punjab, especially in the Malwa belt (Bathinda),” said Mr Singla. Mr Singla maintained that Mr Straw was also open to outsourcing by British companies in Punjab because of the strong links the two communities had because of the strong presence of Punjabi community in Britain. Later, when Mr Straw met Mr Parminder Singh, General Secretary, Punjab Pradesh Congress Committee, he enquired about the Ajnala byelection. “He asked me about the chances of Congress in the election, I told him that the Congress will win hands down,” said Mr Parminder Singh. I think this will be a good connectivity to Heathrow airport, apart from Birmingham and Gatwick airports. As Southall near Heathrow airport has a high punjabi presence in the UK. It will be a dream come true for the NRIs of the punjab, in England,USA and Canada if British airways starts a direct flight between "Heathrow" and Amritsar. Especially as BA has regular connections to these countries from "Heathrow". As the old saying goes , many targets with one arrow and judging from the "Delhi" BA flights (about 75%) pessengers are NRIs"punjabis". Lets just hope the staff at Amritsar will have respect to the people that will travel there as they will be bringing in a much needed "Revnue" to the state of Punjab. The large NRI population in the state will have the privilege to take direct flights from UK and Canada to the heartland of Punjab. The national carrier Air India has announced three weekly direct flights connecting New Delhi, Amritsar, Birmingham and Toronto starting from May 15 this year. The chairman of the National Commission of Minorities, Rajya Sabha member and member Parliamentary Committee on Civil Aviation, Mr Tarlochan Singh, today in an exclusive talk on telephone from New Delhi said the meeting of the committee held at Mumbai yesterday had given go ahead to operate the much awaited Air India flight for the benefit of the large chunk of Punjabi NRIs who hail from the Doaba belt of Punjab. Mr Tarlochan Singh said on his personal appeal the Union Minister for Civil Aviation, Mr Praful Patel, had agreed to constitute a parliamentary sub-committee to monitor the progress of Amritsar airport. He said the sub-committee would visit Amritsar in March to take stock of the situation. Mr Tarlochan Singh said he had been lobbying for starting the Air India flight from Amritsar International Airport as there were more than 50-weekly flights being operated by Singapore Airlines, Indian Airlines besides the non-scheduled airline flights belonging to CIS countries, including Uzbekistan, Turkmenistan, Air Slovak and some tourist charter operators connecting various destinations throughout the world. He added that with the introduction of Air India, the NRI and local passengers would be greatly benefited as it would provide direct link to the UK and Canada besides offering great export potential by utilising weekly cargo space available on these aircraft. Besides Air India, the other airlines, including Malaysian Air Service, Air Phuket (Thai Airways), Korean Airways and more domestic airlines are also likely to start their operations from this airport by the middle of this year. The Director Airport Mr V.S. Mulekar, said by the end of this year more than 80 flights would be operating from this airport with more than three lakh passengers using the Rajasansi Airport during this year. Meanwhile, the passengers who had to waitterminal building the expansion plan of which had been delayed for a considerable period of time was expected to become operational by July this year and this would ease the pressure on the existing non-descript facilities which have earned the ire of a large number of for two to three hours to pick up their baggage. Coming back is a nightmare!!!!!!!!!!! My auntie had waited at the airport for more than 6 hours only to find out the plane (MIDLAND AIRWAYS) was delayed for 24 hours, the second day she got there again there was no plane......she was left stranded......now she is having to make her way to Delhi and travelling by Virgin Airways, paid for a one way ticket to arrive back to UK. I think the company shoud be sued as my auntie could loose her job because of the delay.........and the worst thing is that it is not just my auntie who had this experience more than 300 passengers were left stranded just on Saturday and this is only 1 case that i have written about....................every week this happens and will keep happening if we do not complain. Why dont people stop flying in cheaper airlines and stop complaining about them. Either be ready to pay extra £100 or be ready to spend nights in airports. What the hell do you about the situation?? The airline is NOT cheaper than other airlines that are reliable, and the choice of airlines when flying from Birmingham to Amritsar is not huge. People bought tickets with midland airways in good faith and expected, and deserve a decent service. And even if you do pay a little bit less? does that mean you deserve to spend days waiting in airports??? Keep your uninformed opinions to yourself. Having been asked to cool their heels when the Ministry of Civil Aviation was doling out slots to the United Kingdom to private airlines, the public sector Indian Airlines has now sought seven slots a week to fly to Birmingham and Manchester with one possible slot from Amritsar. While Minister for Civil Aviation Praful Patel informed Parliament earlier in the week that the Indian Airlines might be given seven slots to the UK by winter, officials at the airlines said they were seeking slots specially to Birmingham and Manchester with one specific flight between Amritsar and Birmingham. The Indian Airlines is looking at operating four flights per week to Birmingham and three flights per week to Manchester. Officials at the airlines were still not sure when the final allotment would be made but were hopeful that the Amritsar-Birmingham flight which is at present with Air-India would come to it. They said that two public sector airlines’ still have to get together to work out the details for the flights which the Indian Airlines may get. However, they were optimistic that the airline would be able to get the Amritsar-Birmingham sector flight and felt that any slot at London Heathrow would be the icing on the cake. Incidentally, the go-ahead for the Indian Airlines would come six months after the private airlines -- Jet Airways and Air Sahara -- start flying to UK cities. Of the two private airlines, Jet airways had found more favour with the Civil Aviation Ministry which allotted it with seven flights per straight to London Heathrow. Amritsar could soon be on the map of destinations of the Thai Airways International, as the airline looks to expand its operations in India in the coming year while also attempting to further improve its services to its customers. The Thai Airways General Manager, India and Bhutan, Mr Sudhagun Divaveja, talking to TNS on the sidelines of a media conference said that the airline was looking at starting a service from Amritsar in the near future. The service from Amritsar would be part of the Thai Airways’ attempt to reach other Indian cities which would also include Hyderbad and Ahmedabad. Mr Divaveja said though the airline, which is considered amongst the best around the world, would be looking at adding Ahmedabad as the first new destination from India but Amritsar could happen by the turn of the year. This would also depend on the availability of the new aircraft with the airline. Thai Airways, which announced the launch of its Royal Orchid Holidays, a complete package tour for the travellers from India to Thailand and even beyond, is looking at starting at least three flights a week from Amritsar and the other two destinations. It is also looking at providing the Indian passengers with the comfort of ‘First Class’ travel on Thai Airways by the end of the year by introducing the Boeing 777-300 aircraft on the India-Thailand sector. Thai Airways at present operates 28 flights per week from India covering Delhi, Mumbai, Bangalore and Kolkata. Launching the Royal Orchid Holidays, Mr Divaveja said although these holiday packages have been in existence for long they were now being introduced for the Indian travellers also. This, more importantly as, the Indian tourists have turned out to be the highest spenders in Thailand. It offers as many as 513 main tour plans, 71 stop over packages and 265 optional tours covering more than 116 destinations in 32 countries. He agreed that the packages offered by the Thai Airways could be little on the higher side than those being offered by some of the other airlines to Thailand itself, but he said that these packages would provide Indian travellers with more choice and a greater peace of mind. Can Indian passport holders can use charter flights like Royal Atlantic, which runs on Saturdays from Gatwick/Birmingham to Amritsar and return on Sundays? Its great news to hear that Virgin Atlantic will hopefully fly to Amritsar very soon, after the launch of daily flights to New Delhi and thrice-weekly flights to Mumbai. I thought that Thair Air, Malaysia Airlines and British Airways were going to start their flights from/to Amritsar this year, what happened? Will they launch anytime in this year? Please let me know asap. NEW DELHI: Leading West Asian carrier Gulf Air, which operates 57 flights a week from India, plans to add four more Indian destinations to its route network, which would take the total number of cities it operates from to eleven. "We already operate to seven Indian cities and are keen on expanding our operations to four more - Hyderabad, Ahmedabad, Calicut and Amritsar," its President and CEO, Mr James Hogan said here. The UAE airline, owned by the Kingdom of Bahrain, has been serving India since 1979 and flies to Mumbai, Delhi, Kolkata, Thiruvananthapuram, Chennai, Kochi and Bangalore. Besides the bilateral dialogue between the two governments on further enhancing the air traffic rights, "we are taking advantage of the 'open sky' policy announced by India'', Mr Hogan said. Observing that the traffic between India and the UAE was growing at a fast pace like in the other regions, he said, "far from slowing up, the pace of change at Gulf Air is increasing." There are NO direct flights from Amritsar to Mumbai, as the alternative is to change at Delhi, if you are flying through Indian Airlines, Air Deccan or Indian Airlines from Amritsar to Delhi. However, you need to go through the transit at Delhi, if you want a direct flight to Mumbai. Another alternative is, if you live near Chandigarh, there is a daily DIRECT to Mumbai, stopping at Delhi. Guys I have taveled to Amritsar from Heatrow.I did the travel by the same Airline to Delhi over 7 years ago. The problem is Language. Everyone thinks the universal language is English..... BUT its not. Most of time there are comunication problems with Staff and passanges thus makeing the flight uncomfortable. As for the staff at the Airport, that has nothing to do with the Airline.I have been to India about 10 times and by many different Airlines. Once you get at the other end its always the same. You have to be one step ahed of the game.I have only been caught ot once and that was enough. I've recently returned back to the Uk, from a 7/8 week holiday in India. I had some problems with the deapture staff in amritsar airport, where I have some difficulty walking and moving, so I wanted to book a wheelchair and the oficials said that I have to pay Rs.1500/-. This is OUT OF CONTROL, When I departed from Birmingham airport, I showed the officials the proof of my disability that I can't walk and I need a wheelchair so they accepted it for free. Right in Amritsar they don't understand it, I had to pay Rs.1500/- for my wheelchair and an extra fee for excess baggage weight. I was so harrased by these people, when I went for passport checking, where a woman took my ticket and passport away and nobody to help me. I felt very upset as no family member could not come inside the terminal building to help me, because he/she is a resident of India. I finally got my passport/ticket back when everyone boarded the plane. Again when my hand luggage was hand-checked, they took out some batteries and kept them here. When leaving the terminal building, I had to walk a very, very long way to the aircraft, no buses or anything. Getting up the starirs was a difficulty for me, as it would be better if there was a air bridge and I can go through it in no time. Inside the aircraft, I had some problems with my seat, as it was very cramped. I wanted to sit in seat 13D, but someone already sat in 13D and told me to sit in 13E, where If I wanted to go to the toilet or stretch my legs, it would be very hard to get up. The meals were OK, no problems. Hence, flight from Ashgabat to Birmingham was no problems. Otherwise this airline was not bad so far, except that we need more Indian entertainment like Indian movies/music, not only on London/Birmingham-Ashgabat sectors but in Delhi/Amritsar-Ashgabat sectors also. Cabin crew need to brush up with their English speaking and understand every need of passengers. If you want to write your own comments and suggestions about Amritsar airport or Turkmenistan Airlines then please do so. Amritsar, July 20: Nearly 250 passengers, onboard an Air India flight to Canada from new Delhi via Amritsar, had a narrow escape today when one of its wheels caught fire immediately after the plane landed at International Rajasansi Airport here. Airport Director V S Mulekar confirmed the incident but refused to give details saying that all passengers were safe. Giving details of the incident, airport sources said as soon as the Air India Delhi-Amritsar-Canada flight 187 landed at Rajasansi International Airport here, one of its wheels caught fire. Fire tenders were pressed into service and the blaze was controlled within no time. No passengers were hurt in the incident, they said. The passengers will now travel to Canada by another flight past midnight, they said. The plane was sent to Mumbai for repair. Flyjet are now planning to re-start weekly flights to Amritsar starting on Saturday 5th November and plans to operate right through to March 2006. Flight schedules are posted below and flights are expected to be operated by their new 767-200. Dear travellers, I was hoping to fly direct or via Dubai to Amritsar in Feb 06. However after hearing your comments on how elderly and disabled people are treated let alone all the requests for tips and removal of items from luggage I'm not so sure I should bother. Yes I'm willing to pay more for a ticket if it ensures a comfortable journy for my mother and little nieces, no I don't mind an hour or two in delays, and no I don't mind giving tips...as long as it's my choice to give them...ie for good service!! But lost lauggage is a problem as is being harrassed, pushed and shouted at all of which no passanger should have to or be willing to endure! (I'm certainly not willing to put my mother throught it) Having travelled to Delhi 7 years ago with a large group we had no problems whatsoever, and yes I gave tips although your not allowed to as the porters were very helful, with lauggae and the wheelchair......I really feel for the guy who had mobility problems and had to pay for a wheelchair! If Amritsar Airport needs any tips in efficency maybe they should visit Dabolim Airport in Goa.....there are non of these issues! Like many of you, I look forward to the likes of Virgin, BA and Emirates in particular flying direct from Brum to Amritsar in the near future. Why not try Indian Airlines to Sharjah. It leaves Delhi at 1700 and arrives at Amritsar 1755 and departs to Sharja at 1845 on Mondays, Tuesdays, Thursdays and Saturdays. Sharjah is not very far from Dubai, you can catch a taxi, train or bus from Sharjah Airport to Dubai. 1 thing I forgot to mention, The Amritsar Dubai Air-India Express flight will start somewhere in next year, where there will b enough aircraft to ease. NEW DELHI, Sept 26 (Bernama) -- Malaysian Airline has put off its plans to add Kochi and Amritsar as new destinations to India, but "will be adding three flights a week to Delhi from October this year." "We are revisiting our business model in India based on our current aviation economic situation and the company will decide on our next move to new destinations at a later stage, the airline's regional manager, South Asia, Christopher Yek, has been quoted in a media report as saying. With the introduction of three more weekly flights from New Delhi, "This airline will offer the customer a daily service from not only Chennai and Mumbai, but from Delhi too," he said. The airline also offers regular flights to Bangalore, Hyderabad, Ahmedabad and Kolkata. I flew with Air India many years ago and found them to be substandard compared to the likes of BA, KLM and other "western" airlines. Have they changed much? Do the air-stewardes/ess treat the indians aswell as the non-asians nowadays? My father would like be to book him on a flight from Birmingham-Amritsar, the Uzbekh/Turkmen flights he is happy with, but for a little extra he can actually go direct without having to stop. I was wondering if anyone had gone recently on Air India using this route and is it worth spending that little extra to go direct?